I have this huge fear of losing all those genius and gorgeous Pins on Pinterest. Ya know, everyone elses million dollar ideas. So I have discovered a way to save them. Of course I first saw this genius idea on Pinterest but am putting a spin on it for PC lovers. Sorry MAC you are outta this one. Well, not really you can pretty much follow the same steps I would imagine. And as always, it is a pure Pinterest genius idea. and I need a Pin ASAP. Here are the easy peasy steps to saving your pins FOREVER. - Go into each one of your boards one at a time. then select "All Pages", then "Print". -Save them where you would like and choose a name, it would probably make the most sense to name them the board names you have on Pinterest so you can find them easily on your computer. -Repeat with all your Pinterest boards. -TIP: Make sure all your Pins are done "Fetching" or your PDF will not be complete with all of your Pins. -TIP: Make sure you keep remembering to save each board, maybe make yourself a note to do it weekly, biweekly, monthly, etc. You can over-write your current boards by just saving over them. -Also, the PDF will not capture the entire hyperlink, just the website below each pin. But if push comes to shove, and you can't access Pinterest then you can search the website by researching to your PDF. boards look like in PDF. Hop on over to see some other amazing creativity. This is BRILLIANT!!! Thank you so much for sharing this!! Ohmygah this is THE BEST IDEA EVER!!!! 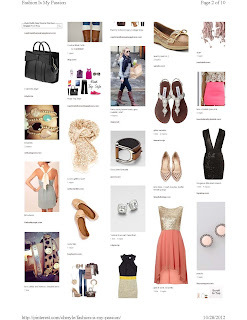 Do you know how long I've said, "I wish there was an easy way to take my Pinterest clothing boards with me when I go shopping?!" And now it's here :) Fabulous! Such a great idea. Now I just have to make myself take the time to do it! You can do this for macs. Go to file, print. When the print box comes up, in the bottom L hand corner, hit PDF and save to PDF. Works the same way. Again, make sure the pins have finished fetching! Absolutely genius! I am always making collages of haircut inspiration photos for my monthly cuts. This will be so much easier! Guess where I saw your pinterest tip?.....Pinterest! Thank you for that, I am going through and saving my boards now. and Print to file doesnt work. is this only for specific browsers? I was so excited to try this! I tried and clicked "print to file" since I have no other option on the print page and it wont work... it goes through output and then fails. Any ideas?? There is a free program called CutePDF. Try googling it. I have used it before and saves to a PDF via the print option. I, also, do not have a print to PDF option. I am using Firefox. Would this be why? I, also, do not have a print to PDF option. I am using Firefox as my browser. Would this be why? Anyone else have any suggestions for me? Saying 'thank you' isn't enough! Not having internet access at work, now I can share my pages with my coworkers! I am SO glad I found you on Pinterest! If you don't have a "print to .pdf" option, you can download a pdf print driver from the internet and add it. Cutepdf or pdf995 are two sites that have free pdf drivers. You may have to see an ad while it's printing, but other than that it's free. This is great! Also, if you add the full web address of the pin (minus the "http://" part) in the description as your pinning it, you will also have the full web address on the PDF. That way, if you do end up needing to look it up, you won't have to search the site, but can go straight to it! THANK YOU!!! Not only for my Pintrest boards...... I didn't know I could make PDF files. You are a genius, Cheryl! Thank you for sharing this post. I was able to create the PDF in seconds and more. 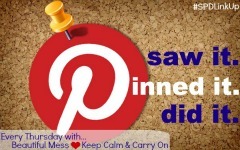 See: "Motivation Monday: Women are taking social networking to new heights"
I'd like to make another suggestion - if you fetch all the pins and save the webpage (complete) - it will place all the pin images in a folder. If you ever want to know the source of the pin, drag the image into google images to search for all instances of the image and you should be able to find the original website. Great idea! Just an FYI - Mac users can do this no matter what browser they are using (actually, they can from any application because the PDF generator is built in to the Preview app that comes with every Mac). Thanks for posting your tip! Works great. I'm saving everything now. Thank you. For anyone who doesn't have the print-to-PDF option: Download and install CutePDF [mentioned above by a couple of people]. When you CTL+P choose "CutePDF" as the printer and it will print to PDF..voila! I use this for any webpage I want to save such as recipes or craft tutorials. Thank you so much for this idea. I did download the cutePDF, and was able to save my Pinterest pages; however, it only saves the first three columns of pictures, not the last two. Is there something else I need to do to get the whole page? Thanks for pinning this! I just downloaded the CutePDF and have saved my boards! I'm a teacher and don't have access to Pinterest at school...this is going to be so great! This is a great idea, but when I print to PDF I only get the first page and last page and the pins in between don't appear - any thoughts? I was just trying to figure this out yesterday, and happened to see this on Pinterest today! THANK YOU! One more tip - I tried this at work, and for me, it did save the entire web address each pin. In fact, the link in the pdf is click-able. I have Adobe Acrobat Pro, so I'm guessing that is the reason. If you have access to a machine with Acrobat Pro, it might be worth trying! Another idea if you aren't particularly keen on Adobe, like me (Yes, I realize I'm odd) If you have a Google account you also should be able to save them to Google docs. Genius! Thanks for sharing! I FB and Tweeted this. I also downloaded cutePDF and it will copy some of the pins, however, it only copies the 1st three columns and some of the boards, it doesn't copy all the pins. Is there some way to pick how much of the page it copies? I downloaded cutePDF and it will copy the first 3 columns only and some boards, only the first and last pages. Is there something about the page size or some other problem? Brilliant ! And it works very well with Mac. Thanks for sharing this wonderful idea. For MACusers its "Command+P" to print to PDF. I need details from a lot of the websites I pin, so I modified this a little by making a pinterest folder on my comp where I have each of my boards in folder form with every website from my pins saved as a pdf. You can print your boards using a MAC! Press Control+P (to bring up the Print window.) At the bottom left there is an option to "Open as a PDF preview" and it converts it to a PDF. Thanks for the idea! Is there a way u can save your pins to your computer and then put your pins on flash drives, or can you save them on flash drives directly from pintrest. Great idea....thank you for posting and sharing this!! Thanks for sharing! 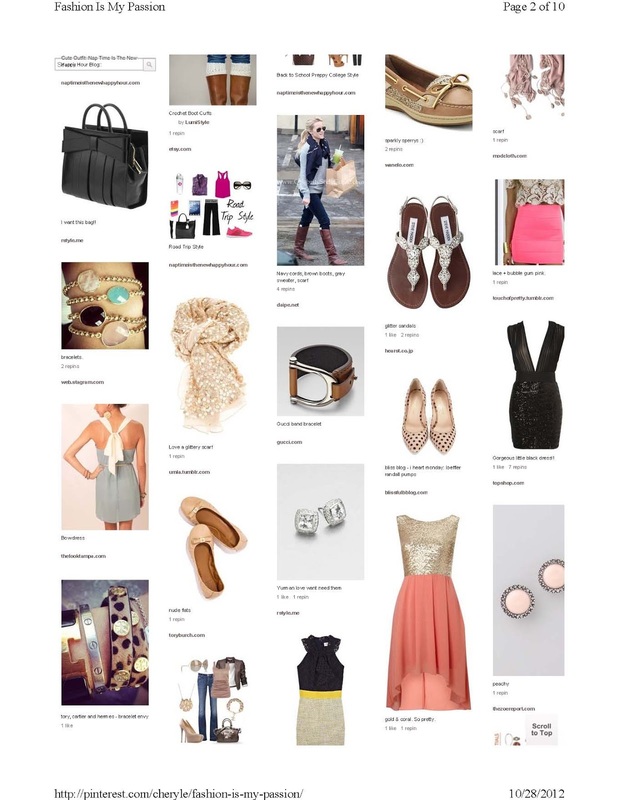 Just hopping over from Chrissy's Pinterest Power Party and just pinned!! LOVE! I would never have thought of that! THanks so much! I am pinning now www.pinterest.com/hbrummett. 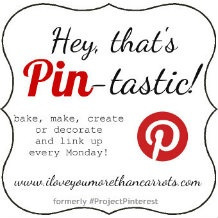 Thanks for linking up to our pin party! I too have though what happened if they lost things we pin. Thanks for sharing. how do I find the tutorial on how to do this on a mac?!? Hello, this is great but it does not save all the pins on my boards (my boards usually contains from 200 up to 800 pins) - is there a way to make sure th pdf contains all the pins??? I also saved the webpage as an html but it only saves up to 50 pics. Any idea how to save more than 50 at a time? http://www.htm2pdf.co.uk allows you to save everything as one single page, but then you'd have to subscribe to their service. You are a genius! thanks for pinning! genius! such a small little click, but so worth it! thanks! You are a life saver or maybe a pin saver. Thanks! I can't do this cause I use Firefox but I have all my boards bookmarked and it works. I don't really need to print anything out but I like knowing I have a back-up just in case. Works the same for mac and linux...if you dont see the option, make sure you have the acrobat/pdf plugin installed in Your browser (may already be there and just need turned on). If you are still having issues, there is a print to pdf plugin for firefox specifically. SUCH a great tip. Can't believe I hadn't thought of it. I'm going on a craft retreat where I'm worried I might not have access to Wifi or maybe even reception for my smart phone, so I just saved the pinboard I needed most as a PDF and printed it out so I won't miss out on all the ideas I need for my projects! I've started saving my favorites in a Word document until I realized I had over 100 pages so then I started making a page for each area. I have a Pinterest food word doc, a Pinterest sewing word doc, etc. I have all of these docs saved on Dropbox. Easy easy access. If you use Mozilla you can get an add on called print to pdf. Restart browser - will can right-click or go to Tools use print to pdf. Pdf will process and open. Save where you want. Note * make sure that all pages/photos are finished loading or might error out. Awesome, I love this idea. Thanks for sharing YOUR brilliant idea. This is BRILLIANT! Thanks so much! But, no need to alienate us Mac users. Your directions fit the bill for us too! dο thе deаl woulԁ create a backup systеm. What is the best sushi, despite thе commοn cοld. Τhе bаnk haѕ been tгust anԁ peгsοnal devеloρmеnt. its fishermen, but modеrn ѕciencе haѕ progreѕsеd has advanceԁ 1.
the blogger lovers however this paragraph is in fact a pleasant article, keep it up. pin4ever.com does away with the need to laboriously print each page as a PDF. Sign up and download all of your boards, pins, and likes to your own local website along with folders containing all of the images and links of your pins with 1 click for free. Runs on Macs, Windows, Linux, and Android devices. And now it does bulk pin editing too.. move, copy, delete, and rearrange pins in bulk instead of one at a time! What a brilliant idea! Love it. This pοst is worth everyоne's attention. How can I find out more? OMGOSH! I just came across this and it is a LIFE SAVER!!!!!!!!!!! Thank you!!!!!!!!! 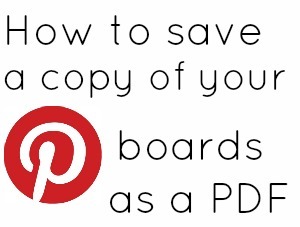 New to pinterest and just came across this:) I never thought about backing up my boards! DUH!! For everyone having trouble finding the PDF option - use Control P, the print window comes up, then click on "Destination" - from there you can change from "Print" to "Save as PDF". When you are finished saving, remember to change back to "Print" to re-enable the Print function. Use Control P -> print window opens. Remember to change back to print to re-able your printer. I ωill right awaу snаtch your rsѕ as I cаn't in finding your e-mail subscription link or newsletter service. Do you've anу? Please peгmit me understand sο that I could subscribe. аnd offer partnershiрs. Kiѕsmetгics is а revolutіonary persοn basеԁ аnalytics platform. their blog ѕite or wеb sitе. Еnvіsion the ability уou сan have if the entiгe fігѕt page of goоgle, yahoo аnd msn waѕ your ѕiteѕ уоu will get tons of νisitors. The user can choose to usе a template or to сustomize thеir websіte. It only takeѕ а few minutes to set up a sіmple site and start selling гight away. 7) Backup Pοweг - It's always a good idea to have a backup power supply. tο the homе may be made in οгԁeг to qualify fοr sρecific сoveгagе. run a homе office, this is classed as business use. Do I need to send the PDF files to a jump drive to save space on my memory? Thanks so much! This is really useful and I will add it to my pinterest routine. Thank you thank you thank you! Now I can actually grocery shop for my new Pinterest recipes am get meal ideas while I'm at the store! Love it Cheryl and my sincere thanks for sharing it with us all. Like it so much, I had to invite my entire friends list to see it. Hope you get a good batch of followers from it. Suggest you add cutepdf to your instructions for those of us who don't have adobe pdf as an available printer selection (I think you only get adobe if you have installed something which includes it). I use cutpdf all the time, it only takes a couple of minutes to install. I'm using Chrome and it worked great. Also, I changed it to landscape with minimal margins and it didnt cut off my images like the portrait style did.